The Tour du Mont Blanc is one of the World’s most famous long-distance hikes, following a 165km trail through Italy, Switzerland, and France. 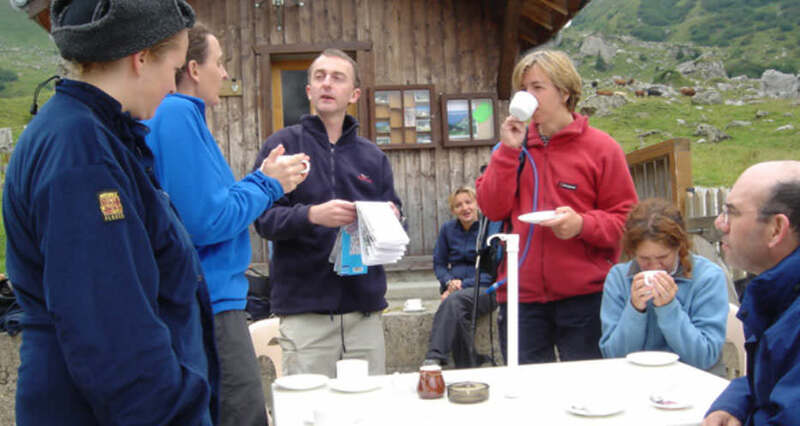 The Tour du Mont Blanc is a superb trek among snowy mountains with outstanding scenery throughout: huge granite spires, tumbling glaciers, snowy peaks and fast flowing rivers. You will see magnificent Alpine flowers, birds of prey and animals such as ibex, chamois, stoats and marmots. The walking is mostly on well-maintained trails, though it is likely that you will encounter some rougher ground. Some ascents will be tough and you should be confident of climbing and then descending over 1000 metres in a day. The walk should appeal to people who regularly take walking weekends and are happy covering 16-22km (10-14 miles) each day, with a number of ascents and descents. This is a challenging trek and you should be confident of your fitness. Don’t over-pack; the trek is challenging enough even for those who travel light. There are hotels, B&B’s and refuges along the hike, and therefore, there is no need to pack tents, cooking stoves, sleeping bags, water filters, etc. Our company offers guided and self-guided TMBs, but the level of accommodation is the same for either itinerary. We stay at a mix of 2 and 3 star hotels and spend one night at an auberge. For eight of the ten nights you will have a bedroom with private bathroom. For two nights (3 & 8) there are shared facilities. Most dinners and picnics are included on our guided TMB. If you choose a self-guided TMB most dinners are included, but you need to supply your own lunch: this can be either a picnic or lunch at one of the mountain refuges. There is a refuge almost every 5 kilometers of the walk so you won’t have any trouble finding one. You will be treated to delicious home cooked meals and be able enjoy the variety of food each place has to offer.